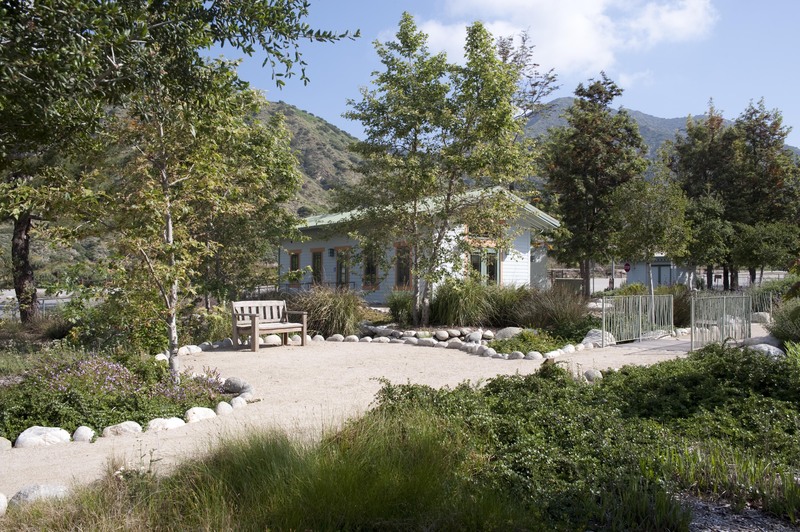 Hours of Operation: Friday – 9:00 a.m. to 3:00 p.m. 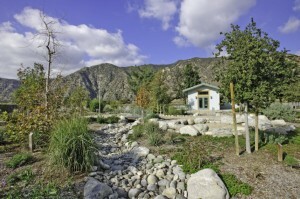 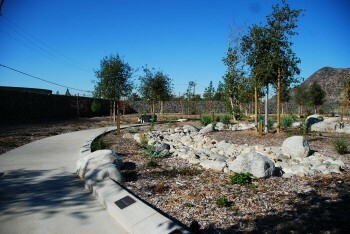 The San Gabriel Canyon Forest Gateway is a 2.5 – acre pocket park and interpretive center in Azusa providing a unique interface between the urban and Angeles National Forest environments. 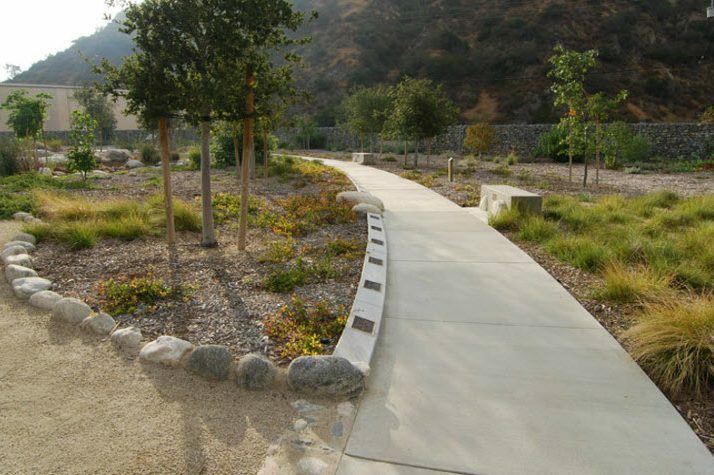 Marking the entrance to the San Gabriel Mountains National Monument this small nature trail and gathering space features native plants and stormwater capture surrounding a ranger station with information about the mountains and Angeles forest. The San Gabriel Canyon Forest Gateway park like the other parks developed by AMIGOS brings volunteers, government agencies, foundations and corporations together—anyone and everyone who has an interest in supporting the Emerald Necklace of East Los Angeles County and greening Greater L.A.
We work to ensure that people come together not to compete but to collaborate and discover synergies—building consensus, employing best practices, and working to increase the availability of natural and recreational resources for everyone. 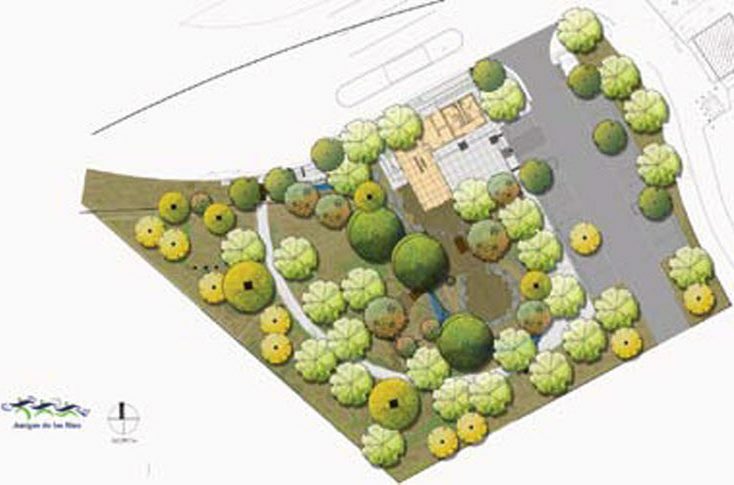 Amigos De Los Rios specializes in the inclusion of native habitat and sustainable design principles. We consider water conservation, habitat restoration, water quality improvements, outdoor educational opportunities, and air quality in our planning. 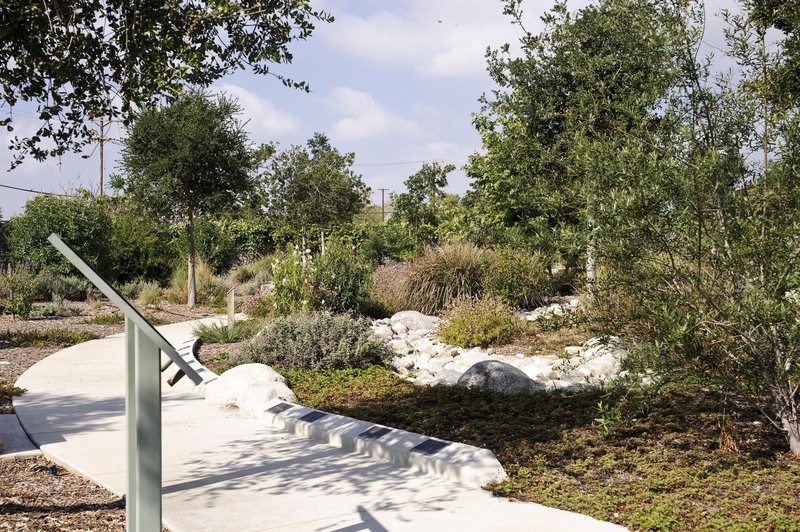 Another important aspect of our park and trail designs is the interpretive signage we create to educate the visitor about the location: the special history, native plant life and art elements. 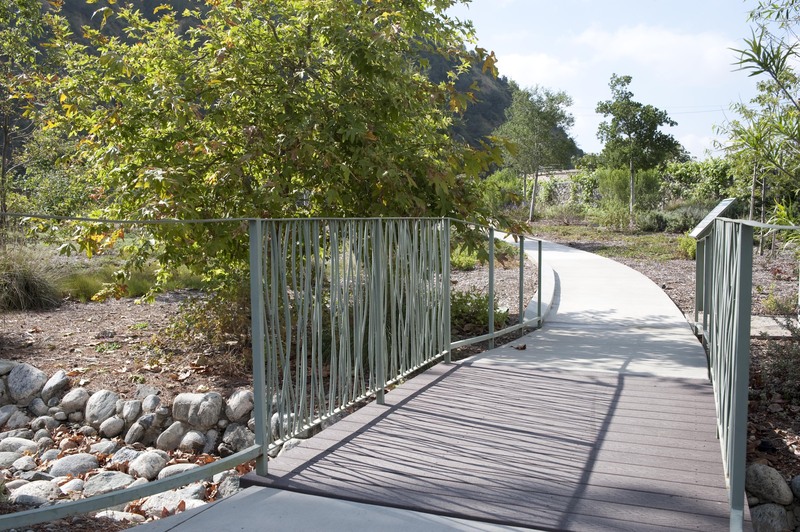 The beautiful attributes of the San Gabriel Canyon Forest Gateway were created from the natural elements of the surrounding area. Amigos de los Rios uses native plants and trees for all their projects, this park has a beautiful rock wall enclosure built from the rocks that were on the site.